The food industry is scouting out the healthiest process to get our fruit or vegetables as fresh as possible. 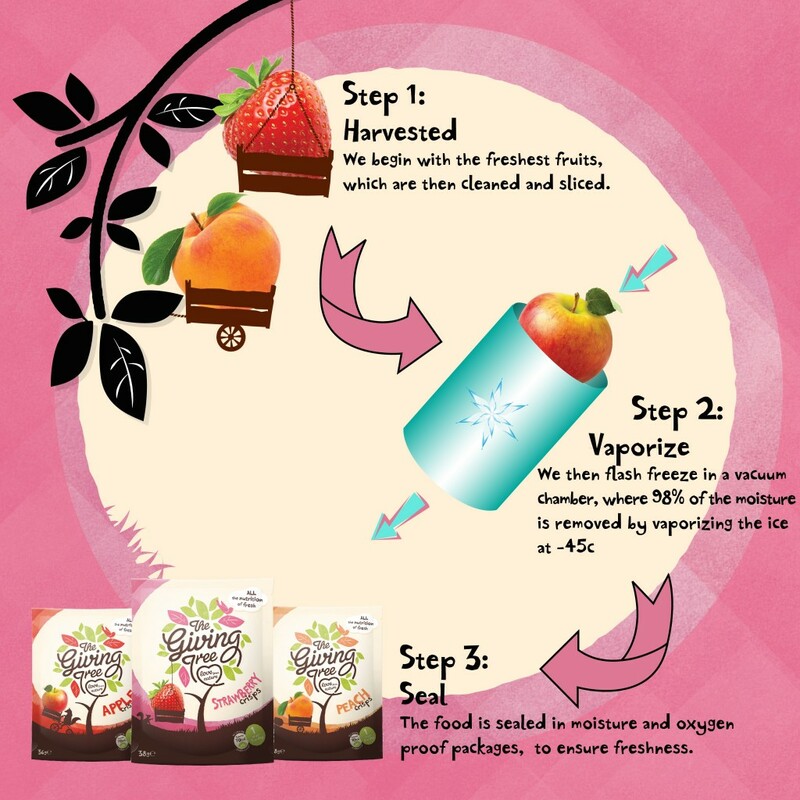 The Giving Tree snack use a new technology called freeze drying, this process removes 98% of the food’s water content whilst retaining the flavour, colour and nutritional elements. 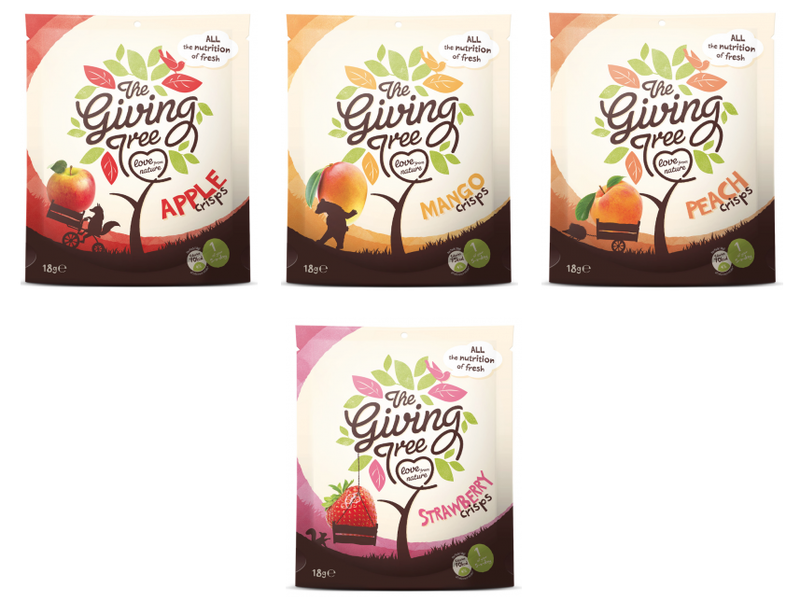 Our Giving Tree snacks are making a big difference in a snacking market. The usual snacks are are full of unhealthy additives such as sugar, sodium nitrate, high-fructose corn syrup, trans fat, etc… In our fruity Giving Tree snacks, you will find your favourite fruits with the same taste as usual, with a crunchy texture. Gently melt chocolate on the lowest possible heat setting. Stir regularly, removing from heat as needed. The goal here is to keep the temperature under 90 degrees, be patient, keep stirring, and even with the heat on a low setting the chocolate will melt eventually. Sprinkle evenly with Giving Tree fruits. Let dry, uncovered at room temperature, for 1 to 2 hours or until set. 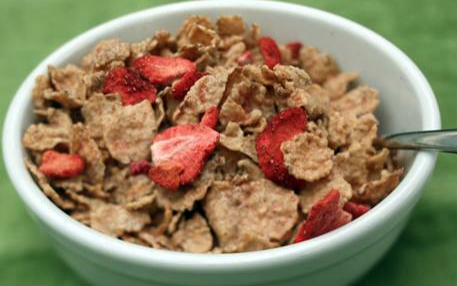 Break into serving size pieces. 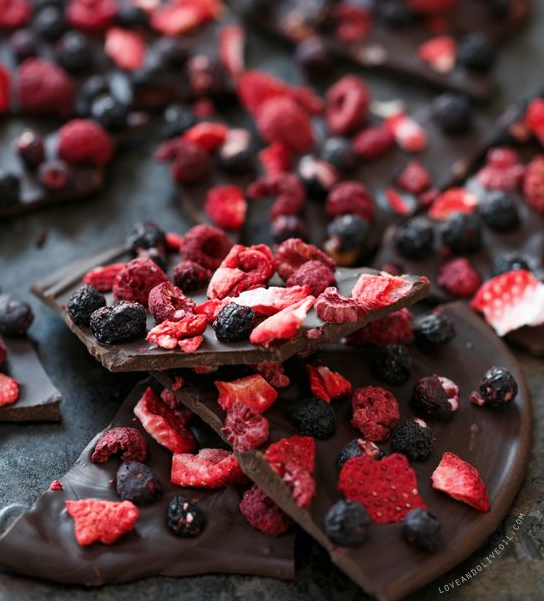 Because of the nature of freeze-dried fruit, this particular bar is best enjoyed within a day or two, as the fruit will begin to soften once exposed to humidity. The bar is good for up to a week, however, the fruit just might be a bit softer after a few days out in the open.